With the newest monument on the Mall slated to open at the end of the month, to crowds of “hundreds of thousands,” District residents are going to get a free sneak preview. Tickets will be available at the MLK library in DC, as well as on the city’s website starting early next week. The memorial will be open to DC residents from 8am to 8pm on August 23rd, five days ahead of its dedication. 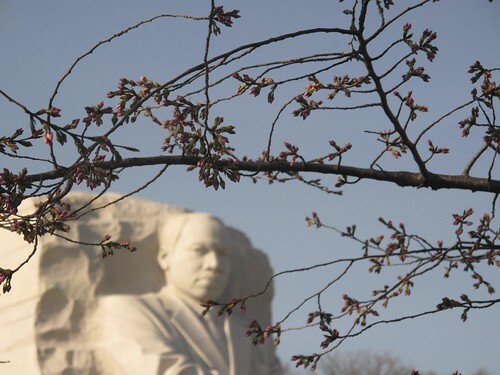 Ahead of the dedication on the 28th, the city is urging all city residents to turn out for a DC Full Democracy day on the 27th with a rally at Freedom Plaza, and a march from the Lincoln Memorial to the King Memorial. We’ll have more on that in the coming days. I simply wished to say thanks again. I am not sure the things I would have made to happen in the absence of the tips and hints documented by you on such subject matter. Entirely was an absolute hard difficulty in my position, however , being able to see a new professional avenue you processed that made me to cry for fulfillment. Now i’m thankful for your support and as well , wish you find out what a great job your are doing educating some other people through the use of your blog. Probably you haven’t come across all of us.